The iconic sportswear brand, Nike, sponsors some of the world’s top athletes like LeBron James, Serena Williams, and Cristiano Ronaldo. 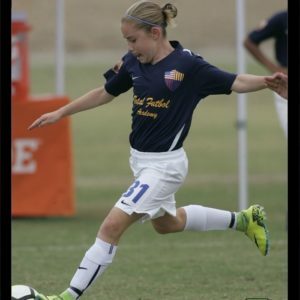 Recently added to the list is a 13-year-old Latter-day Saint soccer phenom. Her name is Olivia Moultrie – a Beehive from Canyon Country, California. 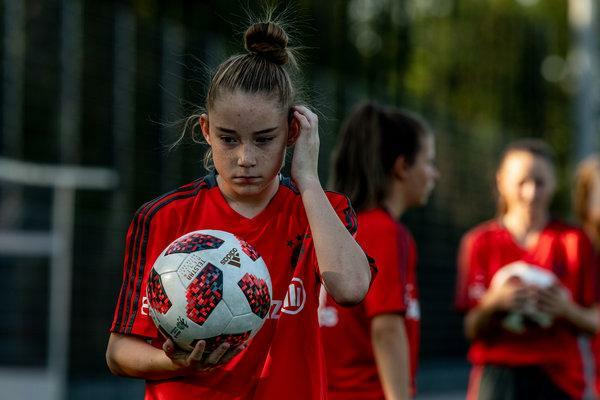 Olivia started playing soccer in her local youth league at the age of four, and as her father recalls, she learned early to “make friends” with the ball. He also recalls that even from a young age, Olivia was very fast and aggressive. 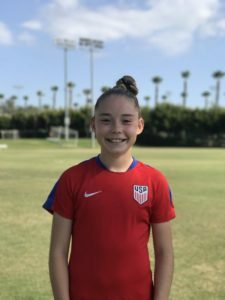 By the time she was nine, she had gained the attention of the soccer community in Southern California, and before long, she was playing with older athletes to challenge her advanced skills and to help her grow. 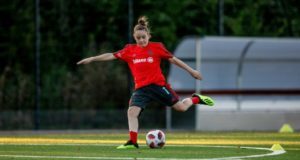 She and her family recently moved to Oregon to be closer to the Portland Thorns organization of the National Women’s Soccer League to continue her development, although she is not a rostered member of the team. She is the youngest American women’s soccer player to turn pro after recently signing an endorsement deal with Nike. She also signed with Wasserman, a sport and entertainment agency that represents such pro athletes as Tony Finau and others. The news of her stepping away from the amateur ranks has captured the headlines of globally read publications like the New York Times, Sports Illustrated, and USA Today.